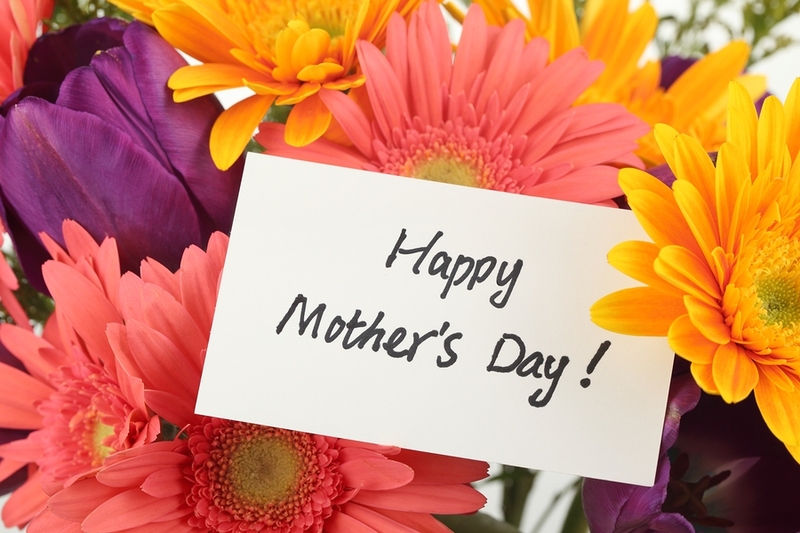 Moms everywhere deserve to have a beautiful day this Sunday! I made a long list of things I wish I could give to my mother, whom I love and adore. I want her feel extra special on this day. The list was long and some of the things were pretty expensive so I paired it down a bit. The cruise to Alaska and the trip to Ireland are just not in the cards this year. I thought I would share the short list of some less expensive and very much last minute ideas you could do for your mother. Things that will let her know your heart is really in it even if your wallet is not. Flowers are predictable, but defiantly easy. You could step it up just a notch by buying a rose bush or a beautiful hydrangea this year and actually showing up to plant it for her! Then she would be thinking of you all year round when she looks at it! Breakfast in bed. This is my favorite treat! My girls are awesome for this most years. This is a great way to make the woman that usually tends to every meal in the house feel appreciated and loved, like she deserves to be! Follow up by making sure that all the dishes get done and taken care of. It will mean more than you think. Gift certificates. My mother loves to eat out! If you can’t take her out to dinner or lunch consider sending or giving her a card to a place that she loves to eat at. Don’t underestimate the beauty of this gift. The reason women love to eat out is because we are always the ones cooking, setting the table and cleaning up when it is all over. It is so nice when that part of the equation is taken out for us and we can just sit back and enjoy. A picnic. This is right up there with the no dishes, no planning part, for us moms. Think about where you could take her. Plan the menu, pack the meal and haul her out the house to a surprise picnic. What a lovely way to spend mother’s day! Creating memories for a lifetime with a woman that is all about creating memories for you. Salon services. Nothing says pamper and taking care of you like a salon service. Whether it is a body massage, manicure, pedicure or facial these are typically things some women hesitate to spend the extra money for themselves. Us girls all love being pampered in this way but it is hard for us to justify spending the extra money on ourselves when we could be buying shoes for our children or purchasing some other, always pressing household necessity. Acknowledgement. Especially if you don’t have much money, I would put this as number one. It is just nice when my family takes the time and goes through the steps to show me that they truly appreciate how hard I try to make the rest of the family feel special on their day. So honestly any effort that looks and feels like they spent a day or two thinking about it and planning it is the best gift ever! So there are my suggestions for a flawless mother’s day. Incorporate any one of these suggestions and I give you my guarantee that you will be making some mother a very happy girl this Sunday! Hope you have a fabulous week and mother’s day weekend.